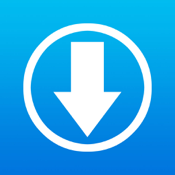 Downloads is your ultimate download manager on iPhone and iPod Touch, with full functional Photo Viewer, PDF Viewer and Web Browser inside. -Support rename, copy, move and delete files. -Support create, rename, copy, move and delete folders. -Support extract zip, rar and 7z files. -Support import photo and video from Photo Albums. -Tap and hold on an image to force download it. -Tap and hold on link to force download it. -Save web pages with images (webarchive) for offline viewing. -Integrated Google, Yahoo! and Bing search. -Ability to change browser's User-Agent to display web pages like Firefox. -Support multiple downloading at one time. -Live download progress bar and speed indicator. -Support pause, resume and cancel download. -Swipe left and right to change photo. -Save photos to Photo Albums. -Tap to switch to fullscreen and back. -Zoom in and zoom out. -Swipe left and right to change page. -Tap to zoom in and zoom out. -Open the page which visited last time. -Support iTune file sharing you can add files to Downloads or save files to PC/Mac in iTunes. -Other apps can save their files to Downloads app (e.g. Email app can save attachments to Downloads app).